Good morning darlings and happy December! I apologize for kind of dropping off the blog world for the last couple days but during the holidays my life gets kind of hectic. I hope everyone had a wonderful Thanksgiving and hope you all are excited for the Holidays as I am! 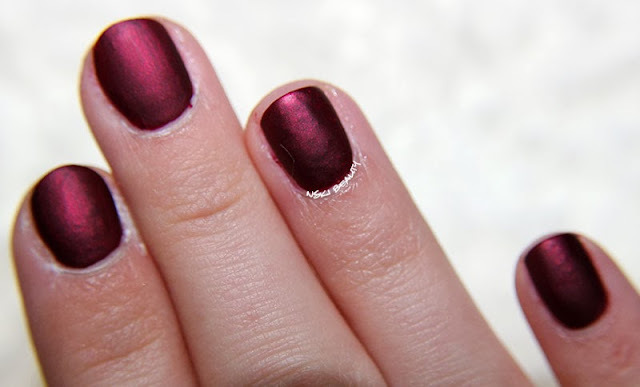 It seems that matte nails are once again all the rage for the season, not that I'm complain AT ALL! 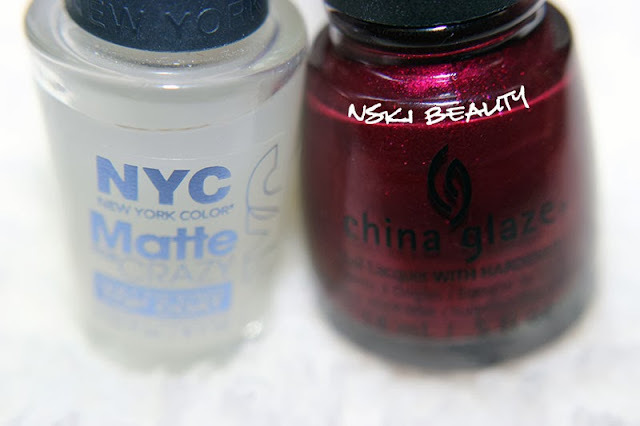 Once I found the perfect matte top coat I was right in there with loving matte polish. 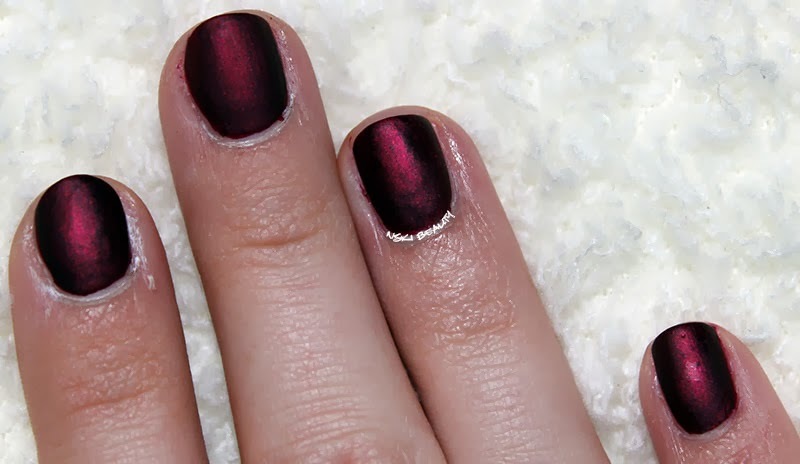 My favorite is taking deep toned shimmery polishes and mattifying them. 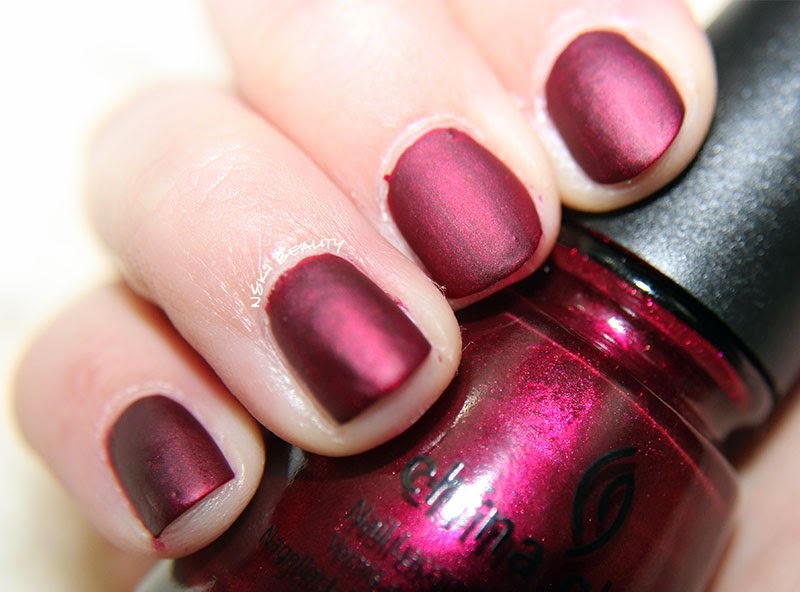 The result is simply stunning and this week's mani is no different! 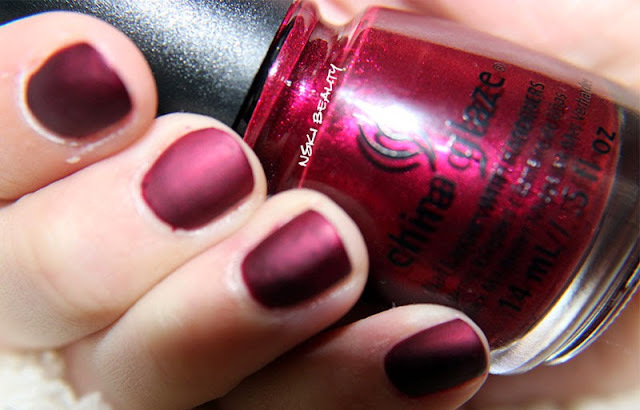 For this week's mani I used China Glaze's Red-y & Willing a ruby jeweled polish that is gorgeous glossy and matte. See for your self! IT'S $1.97! I'm not even kidding you check out your local Target or HERE!